You save £44.00 that's 44% off! 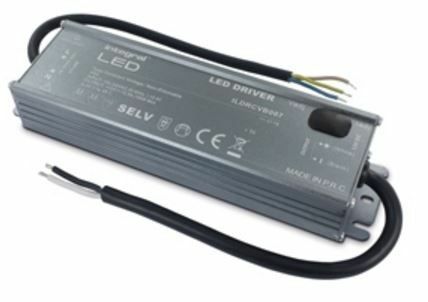 This driver can also be used in conjunction with LED controllers for strip lights. Strip lights generally require between 5 - 10 Watts per meter depending on the type of strip light. Please look carefully at the power requirement of the strip light and select the appropriate transformer. This transformer is suitable for our up to 30 metres of our strip-lighting that operate at 150W in total.